Thomas Waldmann has been the chief of the Metabolism Lymphoid Malignancies Branch of the National Cancer Institute since 1973. SILVER SPRING, MD, October 03, 2018 — Marquis Who's Who, the world's premier publisher of biographical profiles, is proud to present Thomas Waldmann with the Albert Nelson Marquis Lifetime Achievement Award. An accomplished listee, Dr. Waldmann celebrates many years' experience in his professional network, and has been noted for achievements, leadership qualities, and the credentials and successes he has accrued in his field. As in all Marquis Who's Who biographical volumes, individuals profiled are selected on the basis of current reference value. Factors such as position, noteworthy accomplishments, visibility, and prominence in a field are all taken into account during the selection process. Since 1973, Dr. Waldmann has been the chief of the Metabolism Lymphoid Malignancies Branch of the National Cancer Institute. Additionally, he has been associated with the National Cancer Institute and National Institutes of Health in Bethesda, MD since 1956. Additionally, he was the head of the immunophysiology section from 1968 to 1973. Furthermore, he served at the National Cancer Institute as a senior investigator from 1958 to 1968 and a clinical associate from 1956 to 1958. Dr. Waldmann's first professional post was as an intern at the Massachusetts General Hospital in Boston, MA from 1955 to 1956. During his time at this hospital, he was assigned to polio service, as this was the time of the polio epidemic. The following year, the vaccine for polio came out and he became very fascinated by the immunization system's ability to fight infections. In addition to all of these roles, Dr. Waldmann was the chairman of the science advisory board at Healthcare Investment Corporation in Princeton, NJ from 1986 to 2003, a member of the science advisory committee and chairman at the Massachusetts General Hospital from 1992 to 1996, a visiting committee member at Harvard Medical School in Boston, MA from 1988 to 1994 and a member of the medical advisory board at the Howard Hughes Medical Institute from 1987 to 1993. At the Foundation of Advanced Education in the Sciences in Bethesda, he was vice president from 1990 to 1992, treasurer from 1988 to 1990 and on the board of directors from 1980 to 2002. He also held the post of William Dameshek visiting professor at the University of California in Irvine, CA in 1984 and consultant for the World Health Organization in 1978 to 1975. Dr. Waldmann's academic pursuits began at the University of Chicago, where he earned a Bachelor of Arts in 1951. He continued his studies at Harvard University, where he obtained a Doctor of Medicine in 1955. In 1991, he received an honorary Doctor of Philosophy from the University of Debrecen in Hungary. He is also a diplomate of the American Board of Allergy and Immunology. Throughout the years, Dr. Waldmann's civic involvement has been extensive. He has excelled with the United States Public Health Service from 1956 to 1963 and from 1975 to 1994. Furthermore, he is a member of the National Academy of Sciences, where he was chairman from 1985 to 1989 and the UK Academy of Medical Sciences and the Clinical Immunology Society, where he was president in 1988. For the American Society for Clinical Investigation, he held the role of editorial board member from 1978 to 1980 and from 1983 to 1988. In addition to holding an honorary membership in the Hungarian Academy of Sciences, Dr. Waldmann also is a member of the Association of American Physicians, the National Academy of Medicine, and the American Academy of Arts and Sciences. Moreover, he is an honorary fellow of the Academy of Medical Sciences. Dr. Waldmann is a fellow of the American Academy of Allergy, Asthma & Immunology. This organization further honored him with the Bela Schick Award in 1974, the John M. Shelton Award in 1984, the Lila Gruber Prize in the 1986, the Simon Shubitz Prize in 1987 and the CIBA-GEIGY Drew Award in 1987. Additional awards Dr. Waldmann accepted from this academy include the Milkin Family Medical Foundation Distinguished Basic Scientist Prize in 1991, the Artois Latour International Research Prize in 1991, the Bristol-Myers Cancer Prize in 1992 and the Paul Ehrlich Medal in 1997. 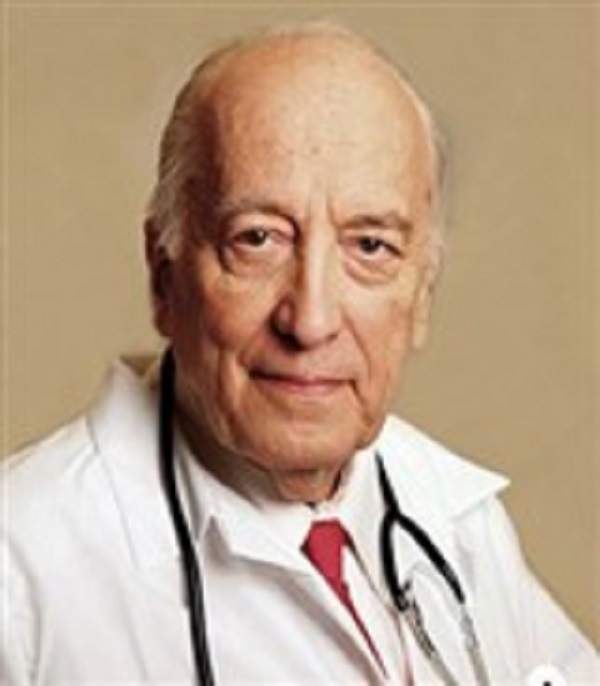 As an established professional, Dr. Waldmann has contributed approximately 850 articles to professional journals in addition to authoring “Plasma Protein Metabolism” in 1970. Some of his other achievements include research in defining the structure of multisubunit IL-2 receptor and research in identifying novel cytokine IL-15. Furthermore, he completed research in IL-15 and forms of IL-2R-directed therapy using alpha and beta-emitting radionuclide chelate versions of humanized monoclonal antibodies for treatment of cancer and Multiple Sclerosis. Other research of Dr. Waldmann's includes research in the analysis of how immunoglobulin gene rearrangements define clonality and classify human lymphoid neoplasia. He also discovered the primary intestinal lymphangiectasia, now called Waldmann's Disease, and allergic gastroenteropathy. He has approximately 12 patent applications and eight patents. Most recently, Dr. Waldmann has been recognized with the Dana Foundation Prize from the American Association of Immunologists in 2007, the Debrecen Prize from the Debrecen Medical School in 2005, and the Abbott Laboratory Award in Clinical and Diagnostic Immunology from the American Society for Microbiology in 2002. Other awards of Dr. Waldmann's include Man of the Year from the American Leukemia Society in 1980, the Distinguished Service Medal from the Department of Health and Human Services in 1983, the G. Burroughs Mider Award from the National Institutes of Health in 1980 and the Henry M. Stratton Medal from the American Society of Hematology in 1977. Dr. Waldmann garnered approximately 100 honorary named lectureships. He has previously been featured in Who's Who in America, Who's Who in Medicine and Healthcare, Who's Who in Science and Engineering, Who's Who in the East and Who's Who in the World. In recognition of outstanding contributions to his profession and the Marquis Who's Who community, Thomas Waldmann has been featured on the Albert Nelson Marquis Lifetime Achievement website. Please visit www.ltachievers.com for more information about this honor.